Aerial gunning kills too many wolves in Alaska as it is, but a new policy could allow for aerial gunning as a way to manage bear populations. This week, the Board of Game (BOG) will be meeting in Wasilla to consider many important proposals that will impact our wolves, bears and other wildlife. One of the major issues the BOG will consider is accepting a six-year management plan for wolves and bears. Under this policy bears could be managed by aerial gunning and baiting would be implemented to kill wolves. Wolves and bears could be in serious trouble if some of the BOG proposals are passed. Proposal 103 seeks to reauthorize the Intensive Management Plan for wolf and black bear control in Unit 16 for an additional 6 years. 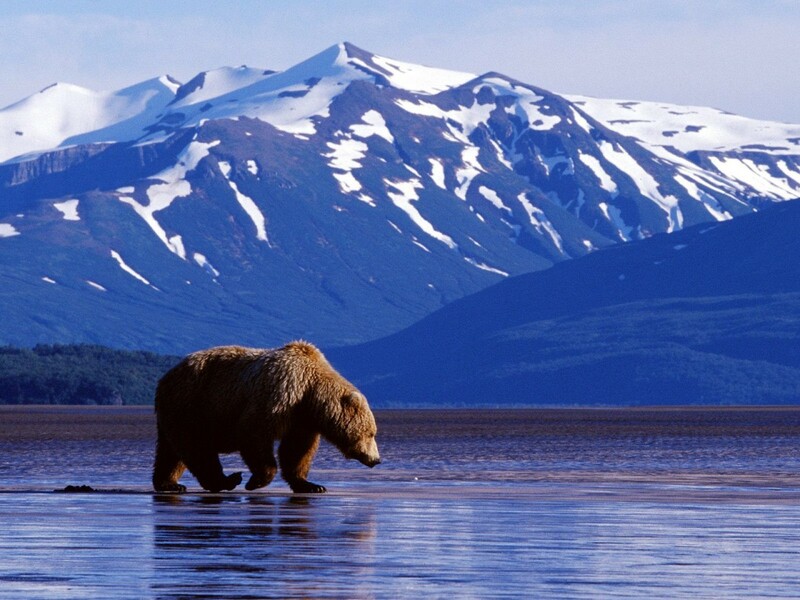 The Alaska Department of Fish and Game recently amended the proposal to include a brown bear predation control "experiment" which could allow for more of these animals to be killed. "Predation control" is a convenient excuse to protect and promote the interests of trophy hunters. It's a very profitable business and the Board of Game is full of people appointed by Sarah Palin who have very "special interests." They call themselves "conservationists," but they're nothing of the sort. The Board of Game has many members connected to the powerful Alaska Outdoors Council, which places strong emphasis on sport and commercial hunting. "We are an association of clubs and individual members. Together with our sister organizations – the Alaska Fish & Wildlife Conservation Fund, the Alaska Trust Fund, and the Hunter Heritage Foundation of Alaska - we work through advocacy, education and research to promote responsible outdoor recreation, conserve our natural resources, and protect Alaskans’ rights to enjoy our great outdoors. The AOC is the official State Association of the National Rifle Association. We work hand in hand with the NRA, doing at the state level, what the NRA does on the national level, to protect your Second Amendment Rights, promote gun safety and encourage participation in the shooting sports." Attempts by individuals or organizations to obtain tribal government control over lands in Alaska must be recognized and proclaimed as a threat to a) effective management of fish, game and other resources; and b) equitable allocation of fish and game stocks. Oppose federal recognition of Indian country in Alaska. Oppose the use of public funds to promote Indian country recognition. Not only do they advocate "predator control" in order to guarantee plentiful prey for the trophy hunters, but they also want the Alaska Natives, who are the true conservationists, out of the way. Things were bad enough for wildlife in Alaska under Sarah Palin and the farce about "conservation" continues under Parnell. Public comment starts Friday morning and ends Saturday. In order to speak, you must show up by 10:00 a.m. on Saturday, March 5th. Please read all posts about the Board of Game and Wildlife on Palingates.